Last week Ald. Robert Fioretti got a testimonial on WGN radio from one of his constituents, guitarist Buddy Guy. The South Side clubowner had challenged the alderman at his victory party not to disappear till the next election, and Fioretti made good on his pledge not to be a stranger. Now Fioretti gets to sample not only blues at Buddy Guy's Legends on Wabash, but ping pong at the legendary Happy Village on Wolcott. He'll be guest speaker at Monday's East Village Association meeting as the newest alderman representing East Village: Redistricting has pushed the 2nd Ward north of the Green Line to Diversey Boulevard and west of the Blue Line to Western Avenue. Two years ago EVA prepared a white paper on East Village issues for incoming 1st Ward Ald. Proco Joe Moreno. For this transition EVA members give the briefing face to face, starting at 7 pm in the iconic Happy Village tavern, 1059 N. Wolcott Ave. Potential topics suggested by EVA board member Gladys Alcazar-Anselmo include implementation of the new ward maps in the 2015 citywide election and how ward staff interacts with community residents till then. (The 2nd Ward office is at 1319 S. State St.) Alcazar-Anselmo expressed EVA's interest in joining 2nd Ward committees and tapping the ward's community resources. Among issues in the transition is allocation of city infrastructure funds allocated by ward. In the 1st Ward, Ald. Proco Joe Moreno this month earmarked his "menu money" to plant trees this spring. There was no response to an email asking if the spending would include East Village, which has a waiting survey of prospective tree locations. Moreno retains much of his East Village turf; the bulk of Fioretti's pickup is at the expense of 32nd Ward Ald. Scott Waguespack. Ald. Walter Burnett Jr. hangs on to a bit of East Village in the 27th Ward. 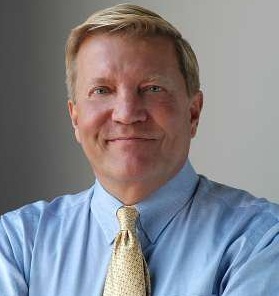 Fioretti can be expected to address business, zoning and demolition issues, including development on tap near the Nelson Algren Fountain at the Polish Triangle. With the 13th District police station merging this fall into a new 2nd Ward station house, Fioretti's involvement in the police CAPS program also will be of interest.